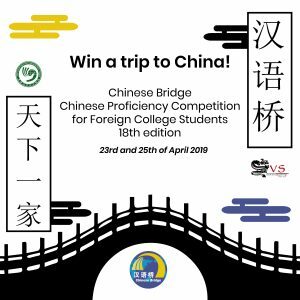 On the 23rd and 25 of April, the Confucius Institute at Leiden University and the SVS will jointly organize the preliminary round of the Chinese Bridge competition. The two winners of the first round will be able to go on an all-expenses paid trip to China to join the Grand Finale! 1.A written exam of about 45 minutes on your Chinese proficiency. 3.A performance of about 5 minutes. This can be anything related to Chinese language or culture, singing, poetry, dancing and calligraphy. During the competition food will be provided for all the participants! To register you have to be between 18 and 30 years old, be a student at a University or HBO institution and not be a Chinese national. 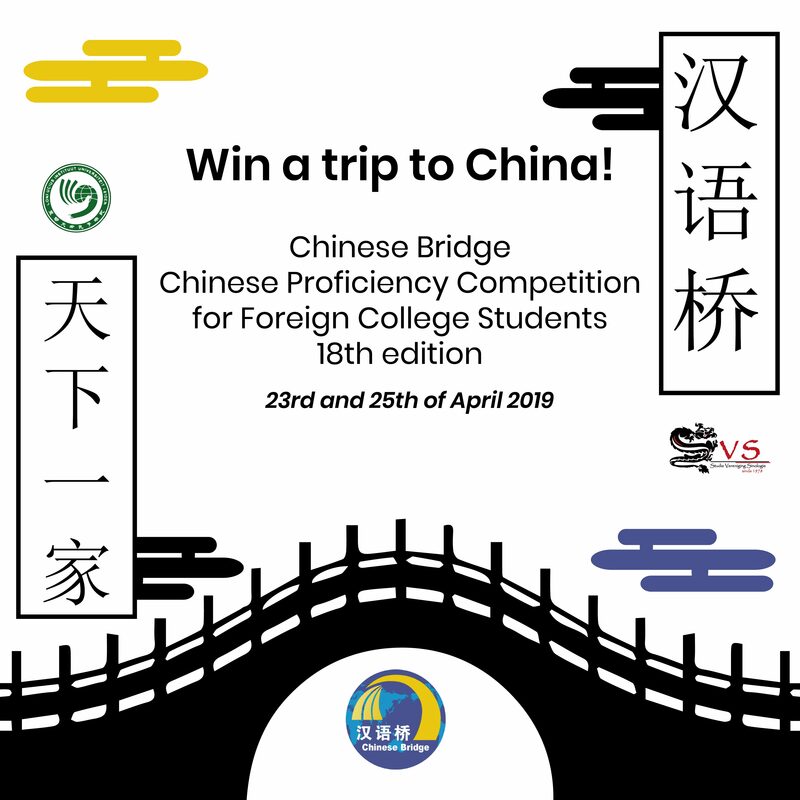 For more detailed information on the Chinese Bridge competition in Leiden please contact: info@confuciusinstituut.nl and bestuur@svsleiden.nl.